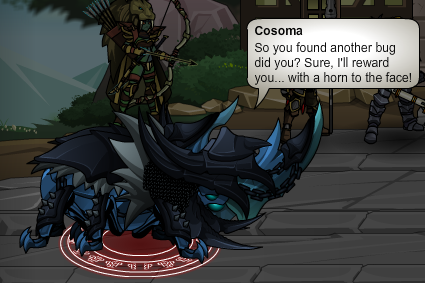 Cosoma - "So you found another bug did you? Sure, I'll reward you… with a horn to the face!" Cosoma - "Yes,yes… you found a bug… but I think this bug is too big for you to handle."